There’s a stereotype that only American food is jumbo-sized. That stereotype is wrong. Japan also has its own super-sized helpings—known as oomori (大盛り) or “large serving.” On 2ch, Japan’s largest web forum, images of “mega oomori” and meals were “baku oomori” (爆盛り or “bursting large serving”) uploaded online. Here’s a look at those, along with some other huge meals restaurants offer. Some of these dishes are called “mega” (メガ), “jumbo” (ジャンボ or “janbo”) in Japanese or even “super jumbo” in Japanese. 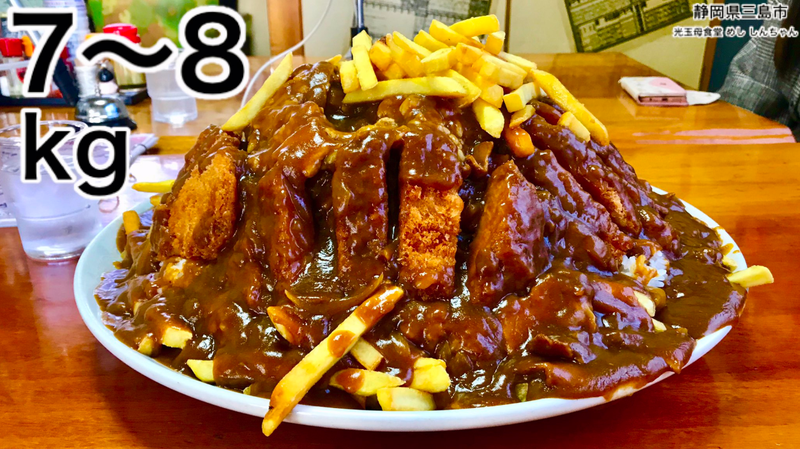 Certainly, not every restaurant in Japan has food this big on their menus, and many of these establishments seem to offer jumbo-sized dishes as publicity stunts—which is fine as long as people finish their meals and don’t waste food! What makes these huge servings even more stomach-busting is that you are expected to clean your plate in Japan. Not finishing your meal can be considered rude! Have fun trying to finish these. This article was originally published on September 3, 2013. It has since been updated.